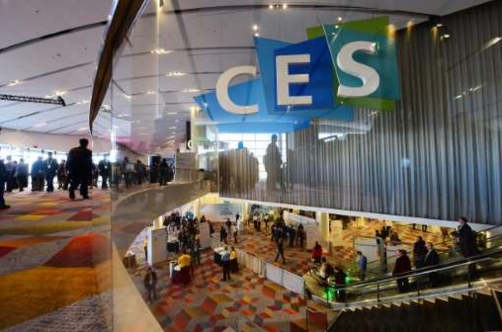 The Consumer Electronics Show 2016 has been in full swing this week in fabulous Las Vegas. It’s that time of year – Cue game show music! Seriously though, tech is just as important to cars as it is in every day life. In fact, The Consumer Electronics Show proved that car tech is becoming an increasing part of our every day connected life. To that end, here is a roundup of some of the news coming out of The Consumer Electronics Show 2016. With each passing day self-driving cars are getting closer. That sounded a little doom and gloom. Sorry, but it’s true. Volvo and Nvidia announced their partnership with the super computer that is hastening the day for self-driving cars. This Nvidia super computer that helps the self-driving vehicles learn is being tested in Sweden, but Sweden isn’t Vegas and what happens in those tests will happen elsewhere. On the impending autonomous vehicle topic, Mercedes announced that three models from its E-class will be taking to the Nevada roads for testing. In some ways, yawn, right? Not in this case. Ever stylish, the Mercedes models won’t have all the required weird looking sensors attached to them, so they look like traditional Mercedes designs. Volvo has released the results of their poll regarding autonomous drive vehicles. It seems that of the 10,000 survey takers, most of them want to still be able to drive their self-driving cars. Thanks, Captain Obvious! There actually are some interesting conversations going on regarding liability and other self-driver details, which is a good thing. I think being able to regain control of a self-driver wouldn’t be so bad. What do you think? It seems the wearable fitness trackers are making their way into Audis. Audi announced that it has plans in the works for its Audi Fit Driver technology that will take driver biometrics and then correct any problems. A Driver is feeling tense? How about an automatic massage? A change in lighting, perhaps? Mood enhancing music or the suggestion of a break? Though there are lot of options to “help” the driver, there is no real timeline on when this would be integrated into a vehicle. The idea is intriguing to say the least. Still, I am not so sure I want a car making decisions for me. Volvo has something similar that it released at The Consumer Electronics Show. Voice activation. Yep, talk into your Microsoft Band2 and the vehicle can respond. For now, consumers will have to learn standard phrases but the future promises a learning system similar to the popular “Nest Thermostat”. But what do you think about all these advances? “Brave New World” or not? The only explanation I have is—No. I don’t have one. Don’t use a lighter while pumping gas, please. Love Your Car! See you next week!